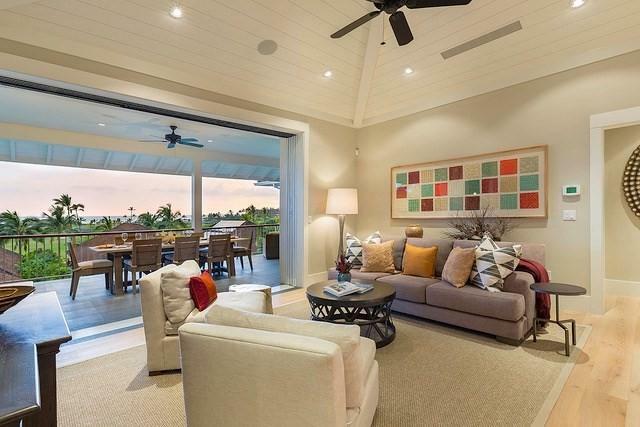 Enjoy panoramic ocean, mountain, and golf course views from this beautiful home. Luxury, elegance and quality define the interior space, architecture and construction of this immaculately maintained residence. 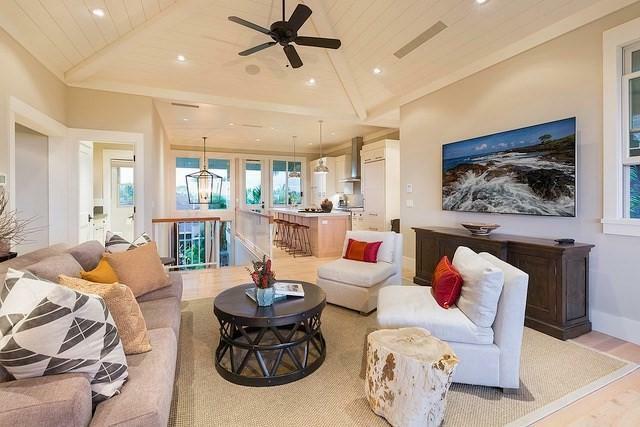 Designed by renowned architect Warren Sunnland, this 2-level residences features a great room, kitchen, and master suite on the upper level and the ground level offers an additional sitting room/media room and guest bedroom. Spacious covered lanais, private infinity pool and spa provide the ideal inside-outside Hawaii lifestyle and a 1 bedroom, 1 bath guest house completes this private island retreat.This is an extraordinary opportunity and a must see!Kohanaiki is situated on roughly 450 acres of land with over a mile and half of beach fronting one of Hawaii's most productive sport fishing grounds, affectionately known as ono lane, and the Big Islands finest surfing beach. 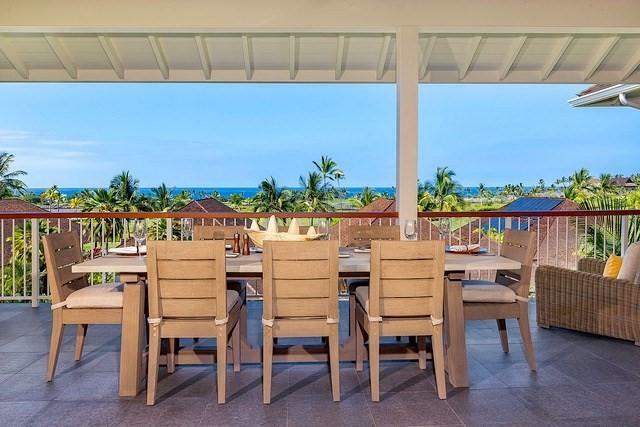 Kohanaiki is remarkably different from its predecessors, and is the first new development of its type on the Big Island in nearly a decade. The residential community & Kohanaiki Club are built around luxury, sustainability and world-class amenities.The Rees Jones designed golf course featuring six oceanfront holes, more than one mile of stunning coastline and timeless architecture embodied in an oceanfront Beach Club restaurant and bar is ready for your enjoyment.The Kohanaiki Club is a private equity club and is by invitation only to Kohanaiki Property Owners. 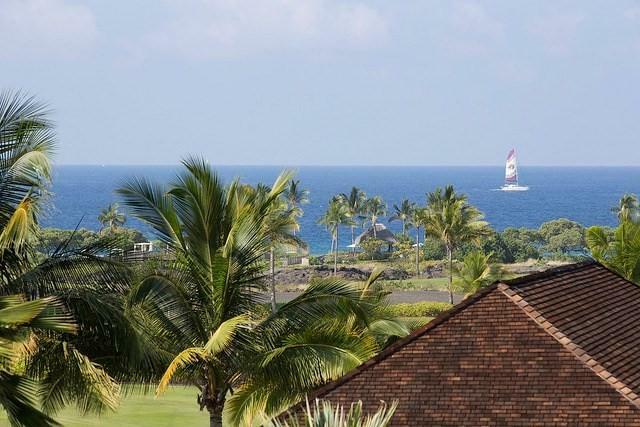 Listing courtesy of Kohanaiki Realty Llc.